The second edition of the TriStar Mallorca was tougher because of the rain and the wind at some moments, but 700 athletes enjoyed one of the most valued TriStar races last year. Duathlon World reigning Champion Joerie Vansteelant beat the other 40 PROs with a spectacular cycling performance in the double climb to Sant Salvador. The Belgian Vansteelant, 3:42:51, won in his first ever participation in a triathlon. He started swimming this year! British Ben Howard was second in 3:43:34 (after leading the bike segment) and the german Johannes Moldan –the winner of the TriStar Monaco 2011 got a great third place. Some of the professional athletes have problems during the bike segment because of the rain. Former pro cyclist José Antonio Cardona was the first Spanish (6th) after an impressive climbing to Sant Salvador and overtake other three Spanish professionals: Richard Calle (10th) and Majorcan athlete Carlos López (14th first overall after the swimming) and Alejandro Santamaría. “I’m pretty happy, I really didn’t know how I could do it today before the start, because I’m starting this season my swimming workouts. But I felt comfortable on the bike leg, I even crashed, but I could recovery and push hard on the run” said Vansteelant. Eimear Mullan could repeat her last year victory after a brilliant run segment. “Today the weather here in Portocolom was like in Ireland! I feel like training at home” said the Irish athlete joking. She finished in 4:12:49. “I’m very proud of this victory, I love this race and this nice village, it’s a perfect race! I won in Mallorca my first pro race last year, and I really wanted to get it again” The british Tamsin Lewis was second at the finish line in the Club Nautic of Portocolom, despite of recovering from an injury. 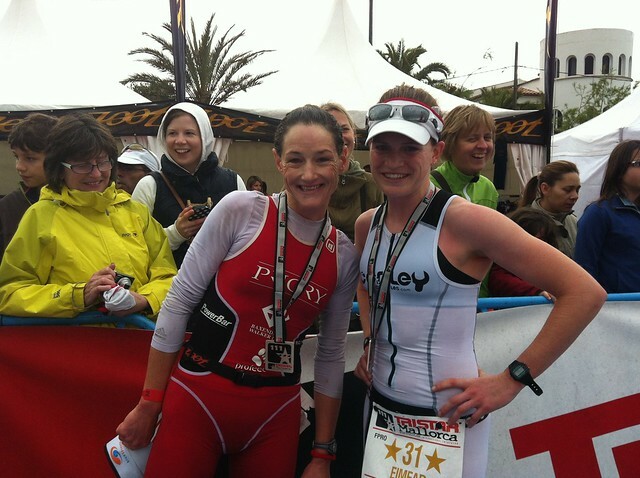 The British top-3 was completed by Anna Turvey. Marta Fernández de Castro was the first Spanish (8th). Swiss Gabriel Hopf and Estonian Liis-Grete achieved the victory on the TriStar55.5 Mallorca. 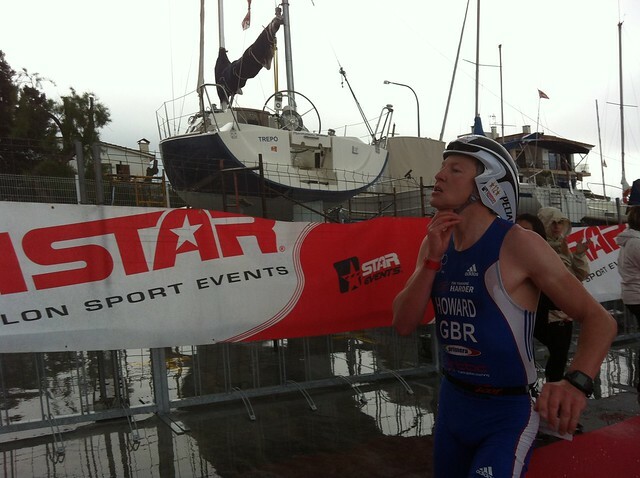 Joerie Vansteelant is the winner of the TriStar111 Mallorca 2012! All is changing on the bike! All is changing on the bike after the second climbing! British Howard Ben and reigning World Duthlon Champion overtook German Johannes Moldan at the 80km point of the Bike leg. Olivier Marceau of Switzerland is two times triathlon world champion, and he participated three times in Olympic Games, which is quite remarkable. He’s a short distance athlete who converted to long distance, and who has now found his perfect race distance in the TriStar111 format, as it combines the best of both worlds for him. 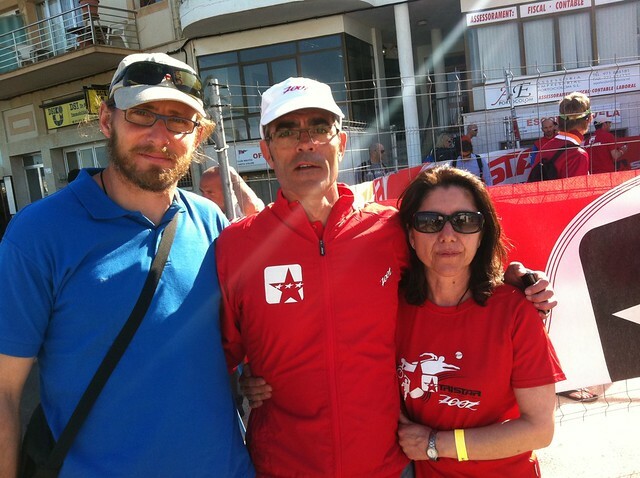 Olivier won the first TriStar111 he participated in Monaco in 2010, and was the winner of the inaugural edition of the TriStar Mallorca last year. He finished second in the second race in Nevis in 2011, and won the 2012 edition two weeks ago. Olivier is a triathlon trainer and reads a lot in his spare time. Carlos Lopez, first out of the water! 1. Local pro athlete Carlos López was the first athlete to exit the swim leg at the Portocolom bay! 2. Bjorn Anderrson (SWE) was second! Olivier Marceu exit T2 in the second position! wow! fastest transition Mallorca ever seen! 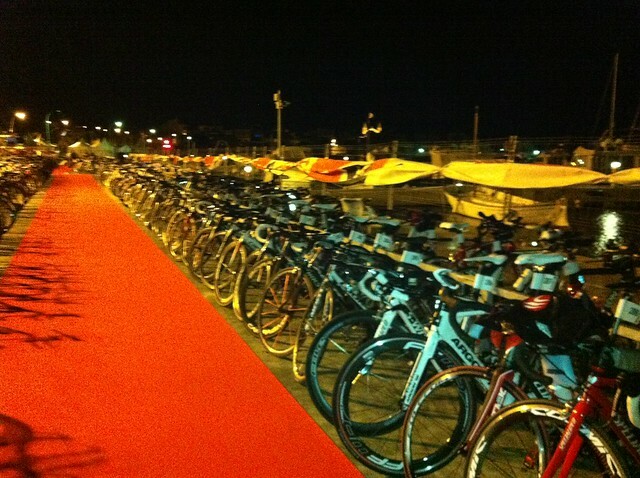 sailfish in TriStar Mallorca 2012! The bike park is opend for the 111 athletes, and they will pump their tyres, prepare the bikes and get ready for the race while wishing each other a good day. Interview with Ain Alar Juhanson! Jaume Vicens lives in Felanitx (the "x" here is pronounced like the English "j" in "jungle") and has been setting up this race formore than a decade. "We started as a Olympic distance race 14 years ago, which eventually was turned into a sprint race of the prestige series, and later back into a Olympic race. The layout of the race was pretty much the same as now, but the climb up to San Salvador was not part of the race. In 2009 and 2010, the race was a qualifyer for the Spanish National Championships"
"Around 40 people help me since years to get everything done before the race, and I am happy to have people like David and Luis around to make this happen. The support from the local authorities is great. We had 250 athletes racing in 2009, mainly locals. Now with TriStar, more than 650 signed up, 56% are international guests - that's incredible!" Joel Jameson supporting the StarKids Mallorca! Zoot at the Star&Co Expo! Interview with Alejandro Santamaría, one of the best Spanish long distance athletes! ¡Celebrado el primer StarKids Mallorca! Triatletas profesionales como Alejandro Santamaría, Oliver Marceau, Richard Calle, Andi Fuchs, Joerie Vansteelant o Joel Jameson han compartido consejos y carreras con los más jóvenes hoy en Portocolom. Olivier Marceau speaks during the StarKids race! - You can donate money to ASPANOB during the online registration as an athlete to TriStar Mallorca 2012. 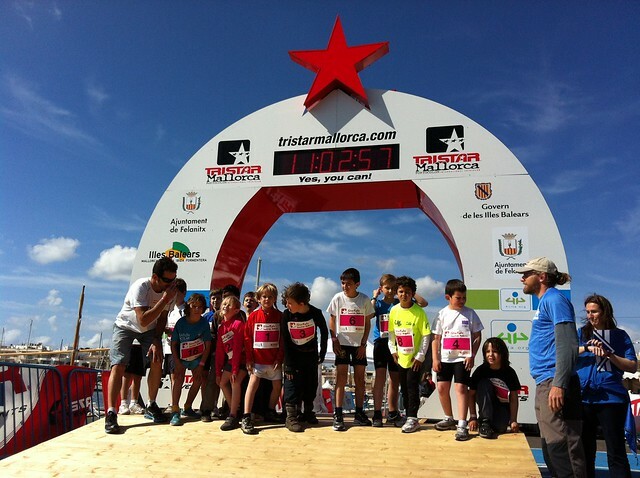 - StarKids Duathlon Mallorca will donate the money of the inscriptions from athletes to ASPANOB. - Aspanob will have a booth at the Star&Co Expo during the weekend. You can go directly to them and discover what are they doing for the childrens who suffer cancer and their familys. You can support them onsite as well! 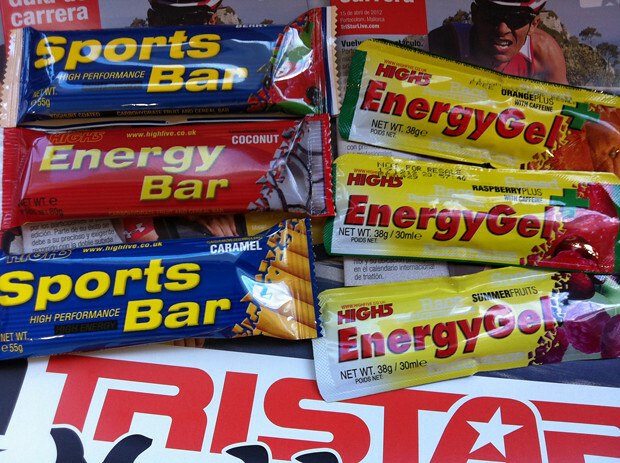 High5 es el partner oficial de nutrición del TriStar Mallorca 2012. Estos son algunos de los productos que podrás encontrar en los avituallamientos el domingo! ...a sailfish swim training session will be held at the beach at 10:00. Athletes can also test sailfish wetsuits and/or rent one for the race. 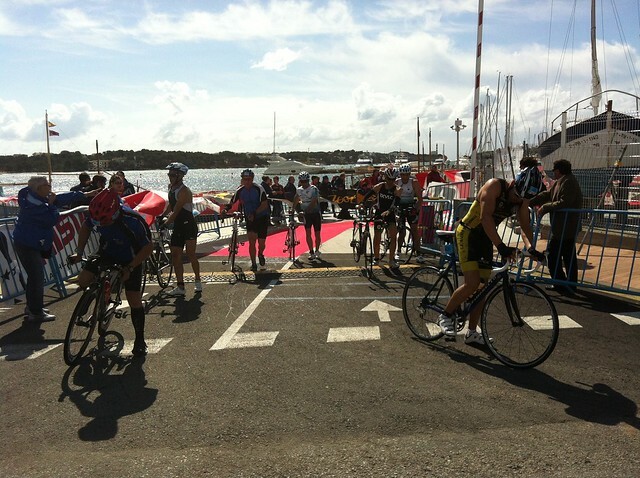 The first edition of the StarKids Duathlon Mallorca starts at 11:00 to 13:00. More than 80 kids will have fun racing this special duathlon in Portocolom, they need your huge support!!! Water temperature is nice today! 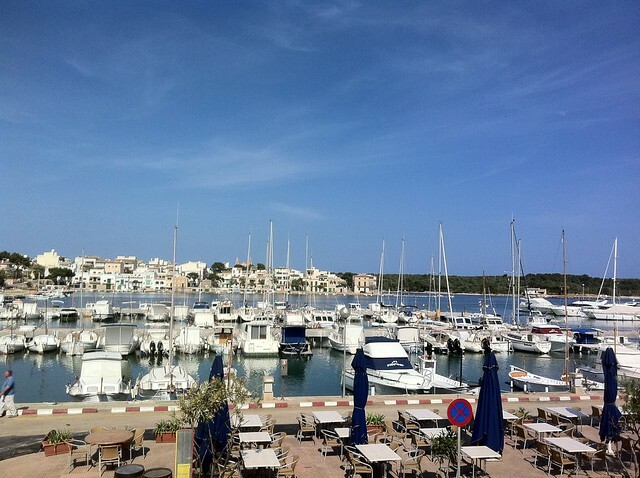 Sun is shining (again) in Portocolom! This is the Nautic Port of Portocolom today! It was raining all the morning, but now the sun is shining again!!! Hope it remains till Sunday ;) See all the pictures from our TriStar Ambassador Coralie Lemaire who is helping us a lot with the LiveCoverage of the TriStar Mallorca!!! thanks Coralie!!! Interview with Joerie Vansteelant, reigning World Duathlon Champion speaks TriStar! 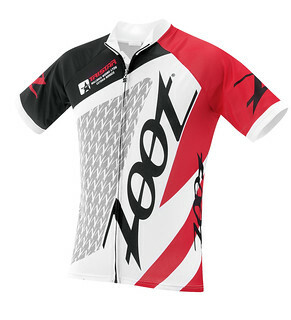 Start your TriStar Race Season with ZOOT! 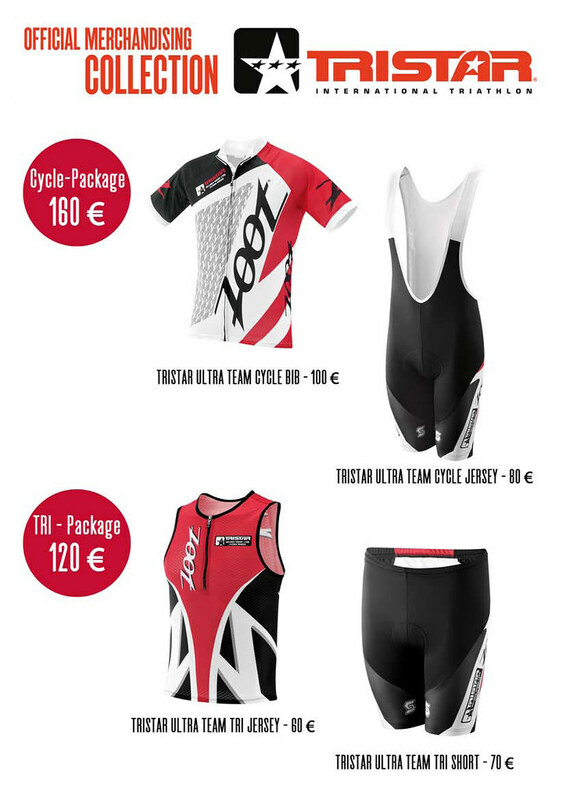 ZOOT, our official merchandising supplier, is delighted to celebrate with you the TriStar tour stop at Mallorca. Drop by at ZOOT’s EXPO booth and check out the special TriStar 2012 Merchandise collection. Zoot offers you special products for swim-bike-run: whatever you need. 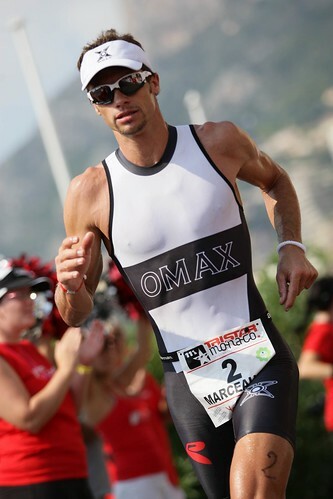 Olivier Marceu will defend his 2011 victory in Portocolom! 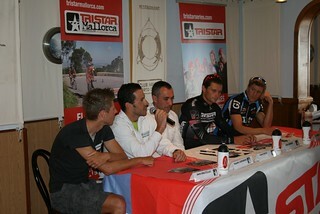 TriStar Mallorca will take place for the second time on Sunday, 15 April 2012 in the village of Portocolom in the South East of Mallorca. More tan 700 athletes have signed up and chosen between two unique race formats: TriStar55.5 and TriStar111 with 1km of swimming, 100km of cycling; and 10km of running. Today the second edition of the TriStar Mallorca has been presented officially, that will return to welcome an exciting competition under the TriStar111 format with an impressive list of professional triathletes this Sunday. The 2011 winners (Marceau and Mullan) will defend their titles against more than 30 professionals between whom are the Spaniards Santamaría and Richard Calle, the Austrian Fuchs, the Germans Moldan and Rahn, Vansteelant the reigning Duthlon World champion, the British Jameson, Skipper, Collins... Of the 700 participants (TriStar55.5, TriStar111 and StarKids Saturday), 55% are foreign. The TriStar Mallorca has been presented officially to the press in the Club Nautic Restaurant today with the presence of some of the professionals that will fight hard for the victory in the bay of Portocolom. The start will be on Sunday at 8:45 local time. The most important race of the day (TriStar111 Mallorca) consists of 1km swimming, 100km cycling and 10km running. Also the TriStar55.5 will be celebrated with shortener distances (500m swimming, 50km cycling and 5km running) which is perfect to make a debut in the world of triathlon. On Saturday the StarKids Duathlon Mallorca takes place for first time, which will be the official Mallorca Championship for minors. For Jaume Vincens, the race director, “the race is improving every year. With 55% of foreign participation and a list of 40 professionals, including several world champions, the TriStar111 Mallorca is becoming an important race at the beginning of the season in Europe. Besides the new features of this year, the StarKids Duathlon Mallorca for minors on Saturday and the special prize for the fastest climber –the TriStar111 Sant Salvador King, it will be a very funny and interesting weekend”. The top ranked TriStar111 finishers will share a €10,000 PRO cash purse. The organization collaborates actively with ASPANOB, a foundation for children with cancer and their families in the Balearic Islands. At the Expo athletes can donate directly to ASPANOB and also the StarKids Duatlon will be hold for ASPANOB. Other of the novelties of this edition will be the special prize for the fastest at the climb to the top of Sant Salvador mountain for the TriStar111 participants. For the athletes security, together with Savelives project will provide 5 cardio-protect areas (desfibrillators and medical assistants) for the atheles during the race day. 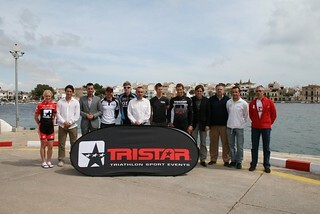 The next TriStar race is TriStar Mallorca on 15 April 2012 (TriStar111 & TriStar55.5). This is the second edition of one of the most value TriStar event on 2011!